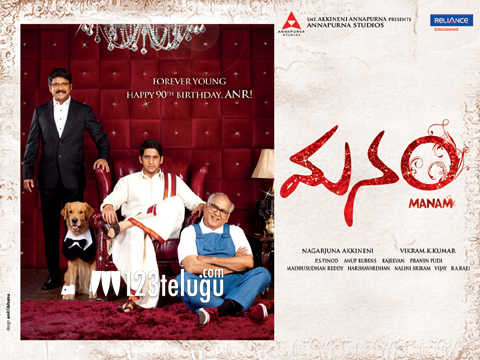 ANR, Nagarjuna and Naga Chaitanya starrer Manam is currently progressing in Coorg. This schedule was supposed to start from December 1; however, sources say that the shooting got delayed by a week. The team began shooting from December 8 and as a result, the schedule has been extended by almost a week to complete the shoot. Currently, a song is being canned on Nagarjuna and Shriya Saran. After shooting in Coorg, the team is expected to shoot for few more days in Mysore. Directed by Vikram Kumar, the film also stars Samantha in a lead role and she’s paired up with Naga Chaitanya. The film is said to be a family entertainer and Nagarjuna himself is producing it under Annapurna Studios banner. Anup Rubens is scoring the music.